Google's plan to tame ad-filled websites is in full effect. 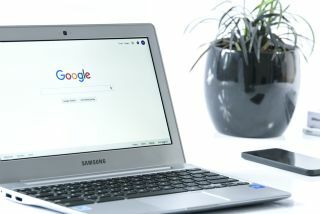 Google will soon add a number of new security protections to its Chrome web browser to help improve the browsing experience of its users by eliminating unwanted redirects by websites and the ads they host. Over the course of the coming months, the company will begin to block three different types of annoying redirects that suddenly load a new web page on their own. Ads that redirect visitors to another site they haven't even clicked on will be the first to go according to Google. Now a toolbar will appear on the page instead to let users know that a redirect has been blocked by their browser. Next the company will do away with redirects that load an ad after a user clicks on a link and open the content they were trying to see in a new tab. Google says that this type of redirect has been specifically designed to circumvent Chrome's pop-up blocker and now these redirects will prevent a tabbed web page from being redirected. Finally websites that open new windows after a user clicks on an advertisement or even an invisible overlay will be tackled by Google and a great deal of attention will be paid to these redirects in particular as they are often employed by nefarious sites that could be putting users at risk. The first two protections will be added in Chrome 64 and 65 and the company expects them to be generally available within the first few months of next year while the fix for new window redirects will be active in January.